I’m not sure if my situation made me have the nerve to chase this or not, but either way, I’m glad I did. It’s so fun and I’m having the time of my life doing it. Only two days before, she had suddenly doubled over with a stomach pain she describes as “a flame torch lighting my insides up”. After an ER visit, a CT scan and ultimately emergency surgery, she was recovering in her hospital room with 13 visiting family members around her. A nurse walked in and asked everyone but her parents to leave the room. That’s when her father took her by the hand and said those words. Then cancer hit, and life changed. For months after her initial diagnosis of colon cancer, almost all her time would be spent in her bedroom. 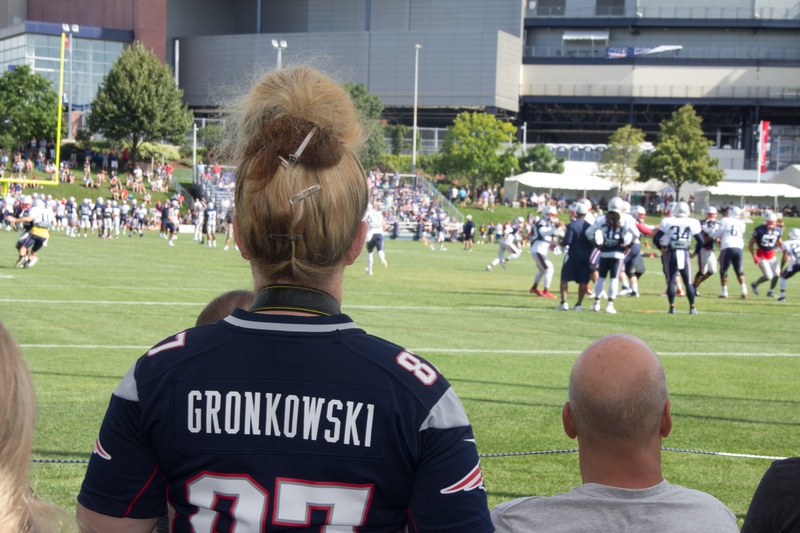 With a compromised immune system from intense chemotherapy, she couldn’t leave the house for fear of infection. A huge fan of professional wrestling, she would watch matches on TV almost constantly, and she took up Perler beading to pass the time during treatments, which at times were harsh. Ultimately, she needed to take a leave of absence from work, which reset her income to zero. Even though she received Social Security Disability, it wasn’t enough to pay her bills, and the bills didn’t stop coming. 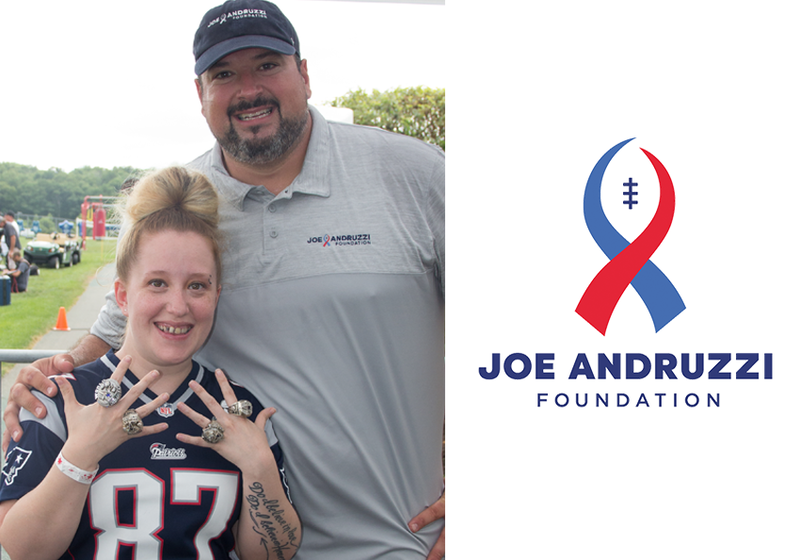 That’s when Trish Van Horn, the social worker at New England Cancer Specialists mentioned the Joe Andruzzi Foundation, and helped Jessica apply. The grant she received paid her rent and cell phone bill at a time when the stresses of illness and financial realities where at their highest. She couldn’t be more thankful or appreciative for the support. Yet during all this, in some ways Jessica might tell you she was lucky. She had a dedicated team of doctors at her back, a caring and proactive social worker, her mom, to help take care of her son, and her dad, who she calls her rock, always by her side. From the moment she first learned of her diagnosis to this very day, her dad has been with her at every appointment – every surgery and office visit. She might also tell you that something good came out of all this. 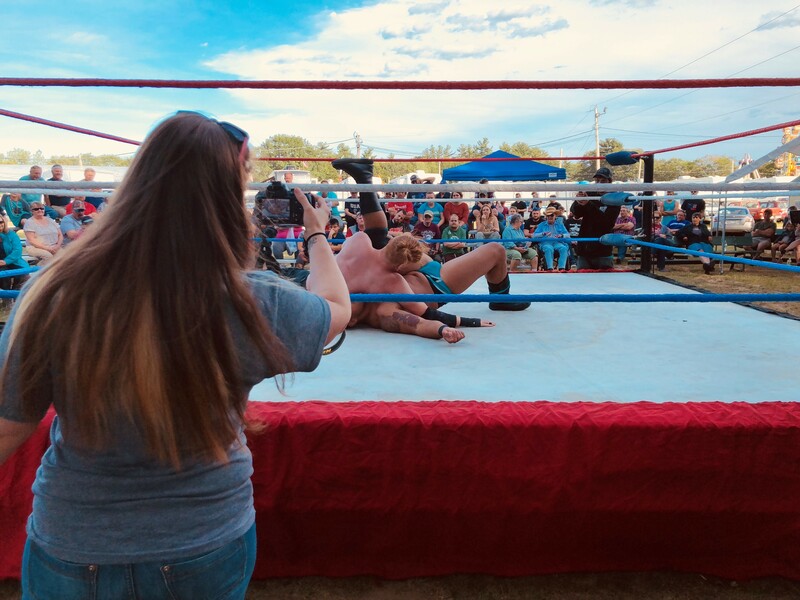 Always a fan of professional wrestling, Jessica attended a local independent professional wrestling event at the urging of a friend who thought a night out would be nice. Jessica loved it so much she walked up to the event organizers and asked if she could help in any way, something she says she never would have done before. She started taking pictures and working as a crew member. She began posting her photos online and as of today she is a photographer at multiple independent wrestling promotions up and down New England. And that, she’s happy about.